ARF, standing for “advanced recording file”, is a file extension for a WebEx advanced recording file from a network-based recording. An ARF file contains the video data, a table of contents, an attendee list, and other information on separate panels. The ARF file extension is for recordings downloaded by the user. The ARF file extension is also used for automatic response files. The *.arf files are WebEx recordings directly downloaded by the user. However, we often meet problems when open or play ARF files. Why? Because the incompatibility of ARF file is not so good. To solve the compatibility and open or play ARF files with zone problems, it is nice to convert ARF to MP4, convert ARF to WMV, MP3 or other common video and audio formats. What Kind of ARF Converter or ARF Player Can Convert and Play ARF Files? To freely open ARF files, WebEx Network Recording Player is a good choice. How Can WebEx Network Recording Player Help Play ARF Files? Second: Load and open WebEx Network Recording Player. Third: Click “File” -> “Open” on WebEx Network Recording Player to import the ARF files to ARF Player. Fourth: Click “Play” button to play ARF files. How to Convert ARF to MP4, WMV, SWF with WebEx Network Recording Player? WebEx Network Recording Player can also help convert ARF files to WMV, MP4, SWF. Fist of all, you need to import ARF files to the software. To convert ARF to MP4, click “File” -> “Convert Format” -> “MP4 (MPEG-4)…”. To convert ARF to WMV, click “File” -> “Convert Format” -> “WMV (Windows Media)…”. To convert ARF to MP4, click “File” -> “Convert Format” -> “SWF (Flash)…”. WebEx Network Recording Player can only convert ARF to WMV, SWF, MP4. However, except for converting ARF to MP4, SWF, WMV, you may also need to convert these files to other formats. In this case, WebEx Network Recording Player cannot help. A professional and all-in-one video and audio converter is needed. Below comes a professional video and audio converter specially for you. But first of all, you need to follow the guide above to convert ARF to WMV, MP4, SWF. And then you can use the converter below to convert files to any format you want. Why Choose This Video and Audio Converter? Reason One: Wonderful Video Audio Player playing WebEx Network Recording Player converted ARF files in MP4, WMV, SWF format and other files in popular video audio formats. Reason Two: The most Professional Video Audio Converter converting among files in any format. Reason Three: Video and Aduio Editor editing all kinds of files easily. What Powerful Converting Functions does This Video Converter Have? After WebEx Network Recording Player converting ARF files to MP4, WMV, SWF format, it can help play these MP4, WMV, SWF files to portable devices supported foramts so that these ARF files is able to be played on iPad, iPhone, Apple TV, QuickTime, Windows Media Player, Android, Samsung Galaxy, BlackBerry, Zune, PS3, Xbox 360 and more. After WebEx Network Recording Player converting ARF files to MP4, WMV, SWF format, this converter features to convert these files to MP3 so that ARF files can be played on iPod, iTunes and other music devices. ARF YouTube – After WebEx Network Recording Player converting ARF files to MP4, WMV, SWF format, this ARF Converter helps to cnvert these files to YouTube fomat so that ARF files can be uploaded to YouTube or other popular video sharing websites supporting formats for common sharing. All-in-one File Converter – ARF to MP4 Converter can convert among 160 popular video and audio formats like convert WebEx Network Recording Player converted ARF to AVI, convert WebEx Player converted ARF to MKV, convert MP4 to MOV, convert among VP9, VOB, FLV, WebM, 720p, 1080p, 1080i HD, AVCHD videos Apple ProRes, Xvid, DivX, H.264 videos and convert ARF to MP3, convert ARF to WAV, convert KSD to WAV , convert AU audios to WAV, convert among 3GP, RM, WMA, M4A, AIFF, FLAC, Apple Lossless ALAC, APE, AU, RA, DTS, AC3, AAC, MP2, OGG and etc. ARF Converter for Windows – Support all Windows systems including Windows 8, Windows 7, Windows XP, Windows Vista, and Windows 2000. 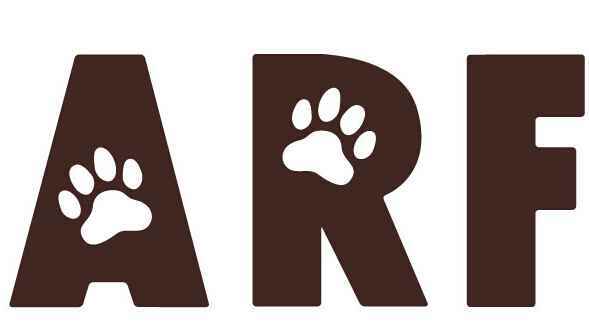 ARF Converter for Mac: Fully compatible with Mac OS X 10.4(Tiger), 10.5(Leopard), 10.6(Snow Leopard), 10.7(OS X Lion), 10.8(OS X Mountain Lion), 10.9(OS X Mavericks), 10.10(Yosemite) and 10.11(El Capitan). How to Convert ARF Files Converted by WebEx Network Recording Player to Other Formats with ARF File Converter? The following will introduce a hand to hand guide on how to convert ARF files converted by WebEx Network Recording Player in MP4, SWF, WMV to other formats with ARF Converter on Windows and Mac. Free download this Video Audio Converter (Windows Version, Mac Version), install and run it, the following interface will pop up. Just drag and drop your WebEx Player converted ARF file to the main interface of the software. To convert WebEx Network Recording Player converted ARF in MP4, SWF, WMV to other MP4 formats, click the “Profile” drop down button and choose MP4 as the desired format. To convert WebEx Network Recording Player converted ARF in MP4, SWF, WMV to other WMV foramts, click the “Profile” drop down button and choose WMV as the desired format. To convert WebEx Network Recording Player converted ARF in MP4, SWF, WMV to other to MP3, click the “Profile” drop-down button and select “MP3 as the format. To convert WebEx Network Recording Player converted ARF in MP4, SWF, WMV to other to MKV, FLV, MOV, AVI etc., click the “Profile” drop-down button and select MKV, FLV, MOV, AVI as the format. You can also select other audio formats from this category as the output formats. Press the “Convert” button to finish ARF file converting. How to Edit Files with ARF File Editor? 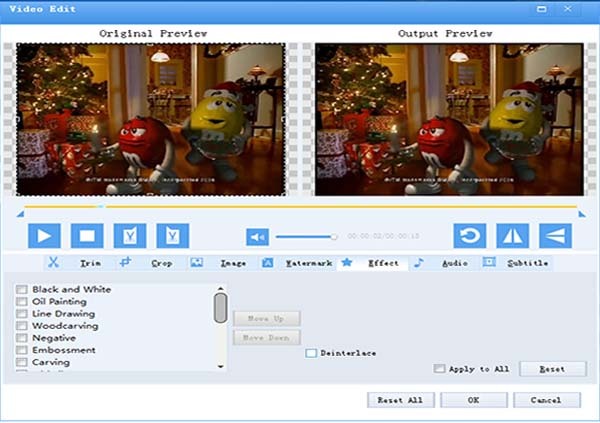 The dreamful ARF to MP4 Converter is also a powerful editor. Go to “Trim” tab to trim videos. Go to “Crop” tab to remove video black edges or adjust the output video zoom mode like 19:6 or 4:3. Go to “Image” tab to adjust the brightness, contrast, saturation for the output video. Go to “Watermark” tab to add text or picture watermarks/ logo to files. Go to “Subtitle” tab to add subtitle to the will-be converted files. To increase sound volume, adjust bitrate and more, click “Setting…” button on the ARF Converter, then go to “Advanced Settings”, click “Advanced” tab there, you can increase audio volume, change audio bitrate and more without any trouble. To join or combine the ARF files together, click “Merge” button. The merged ARF file will be automatically listed below the original ARF files with the name like “Merge 1”. When file conversion is done, click “Open Folder” button to get your converted file. This Video Audio Converter is a good ARF Converter that can easily convert WebEx Network Recording Player converted ARF in MP4, WMV, SWF to any MP4, WMV, SWF or MP3, AVI, MKV, FLV, MOV and more. Get WebEx Network Recording Player to play ARF files freely or convert ARF to WMV, MP4, SWF. 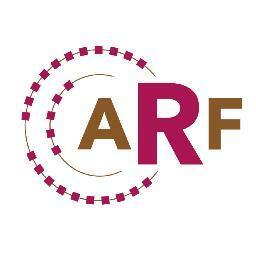 Free download ARF to MP4 Converter to convert ARF files and play ARF files freely for enjoying right now. This entry was posted in Videos and tagged arf converter, arf file converter, arf player, arf to mp3, arf to mp4, arf to mp4 converter, arf to wmv, arf youtube, convert arf file to mp4, convert arf to mp3, convert arf to mp4, convert arf to wmv. Bookmark the permalink.